Good news for Clevver fans. Two of the beloved lifestyle brand’s YouTube channels are relaunching imminently with a bunch of familiar faces: Clevver News and Clevver Style. Clevver was one of the biggest potential casualties of the Defy Media shutdown in November (in addition to brother brand Smosh), when the digital network suddenly went out of business, leaving employees and creators in the lurch. Clevver, which was subsequently acquired by Hearst, is bringing back Clevver Style’s hosting trio — Lily Marston, Joslyn Davis, and Erin Robinson — with videos slated to return at the end of the month, according to The Hollywood Reporter. 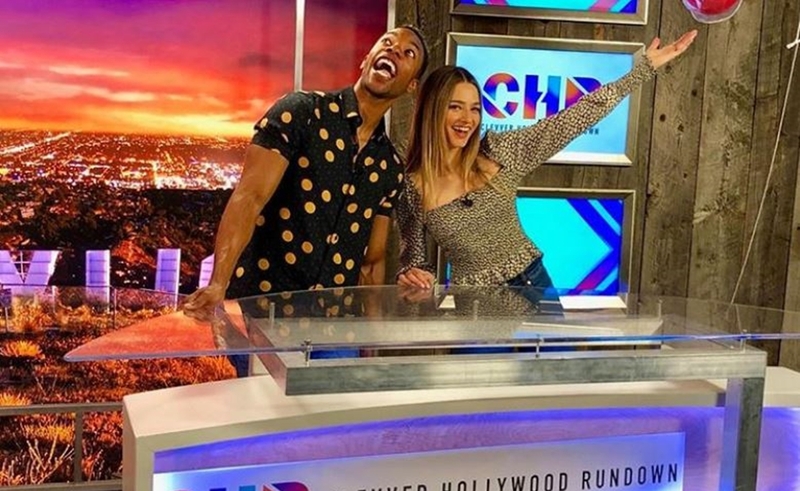 Meanwhile, Clevver News — a pop culture news broadcast — returned to YouTube on Friday (below) with two familiar Clevver personalities, Emile Ennis Jr. and Sussan Mourad (pictured above), who took on new roles as co-hosts. Clevver Style counts 3 million subscribers and typically features Davis, Robinson, and Marston experimenting with wacky beauty products and treatments. Clevver News, for its part, counts 4.4 million subscribers. The brand also comprises three other channels — ClevverTV, Clevver Music, and Spanish-language Clevver TeVe — though it’s unclear whether those brands will be resurrected by Hearst. All told, Clevver counts 15 million YouTube subscribers.